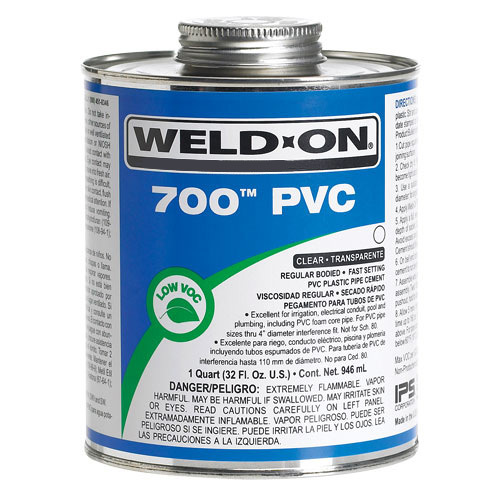 Medium bodied, fast setting, high strength, Low VOC PVC solvent cement. It is suitable for use on rigid PVC with interference fit Sch. 40 thru 6″ (160 mm) and Sch. 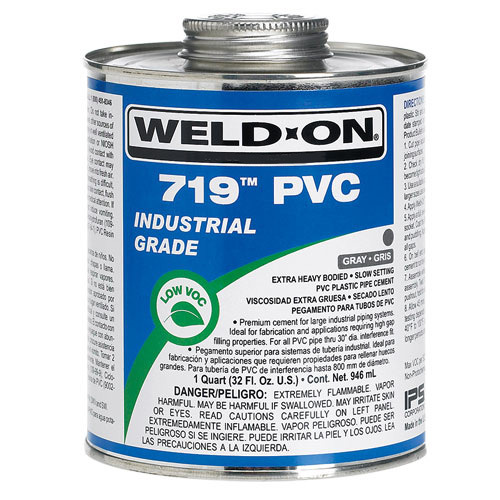 80 thru 4″ (110 mm). Premium, high-strength formulation for irrigation, DWV, pool & spa, plumbing and non-pressure application. 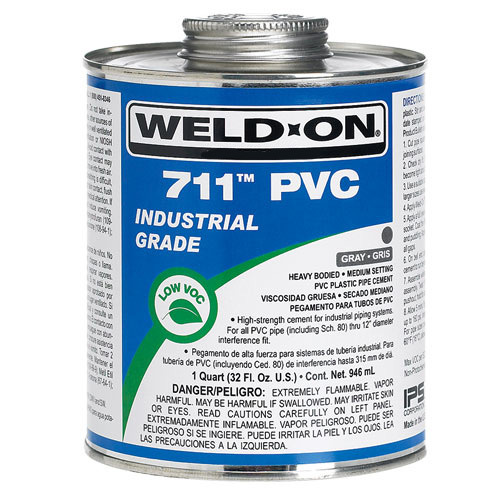 Suitable for use as a one step cement without primer on PVC Sch. 40 and SDR pressure water piping systems through 4″ (110 mm) in irrigation (golf course, turf and agriculture), pool & spa and non-pressure applications, unless primer is required by local code. 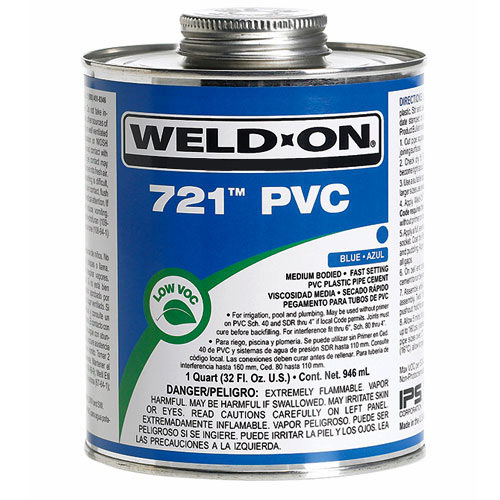 Do not use 721 without primer in any other application, schedule, or size such as Sch. 80 industrial applications. When primer is used, care must be taken to allow the joints to properly cure before backfilling.